I’ve been to Bill’s Restaurant on more than one occasion, my fist encounter being in York a couple of years ago and it was whilst there, that I first tried one of the amazing Bill’s breakfasts. 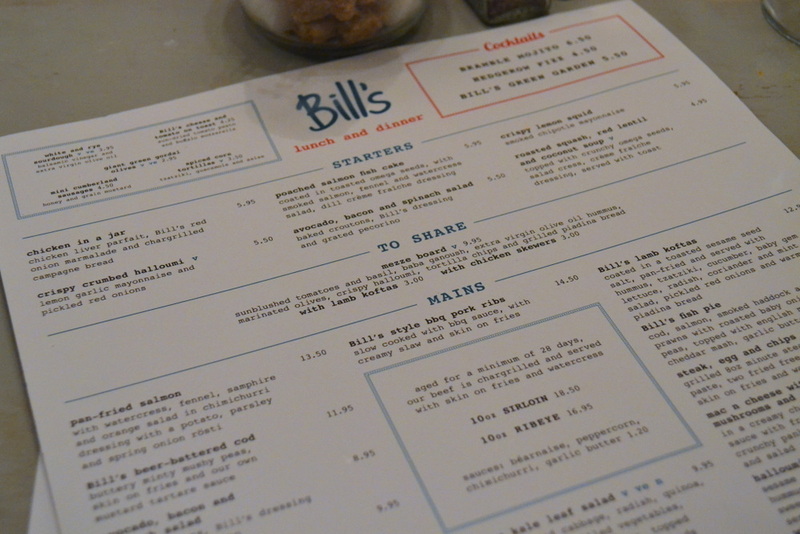 Since then, I’ve been back to Bill’s numerous times for lunch whilst in London but funnily enough, I’d still never been to a Bill’s Restaurant in the place where I actually live, Manchester…until now. The second Bill’s to come to Manchester opened late last year at intu Trafford Centre. 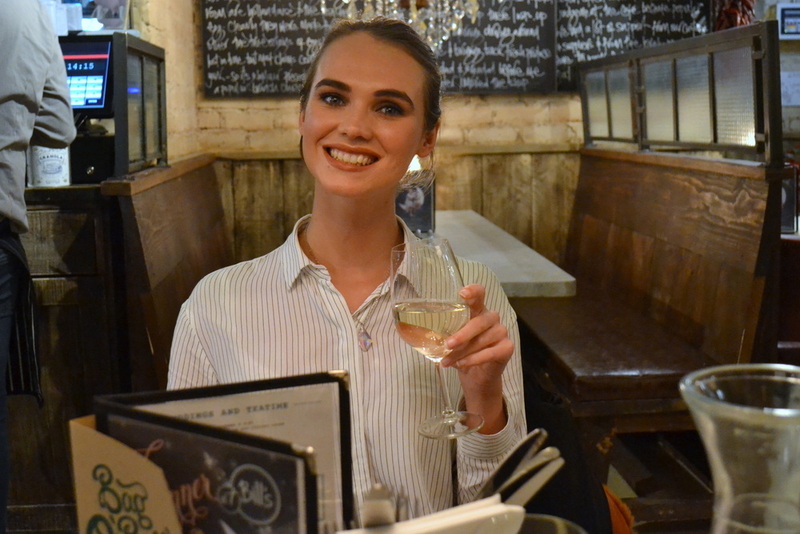 Last Saturday I finally went along to this particular Bill’s with my friend Chloe, who was new to the restaurant. I always love introducing my friends to eateries that they haven’t tried before. 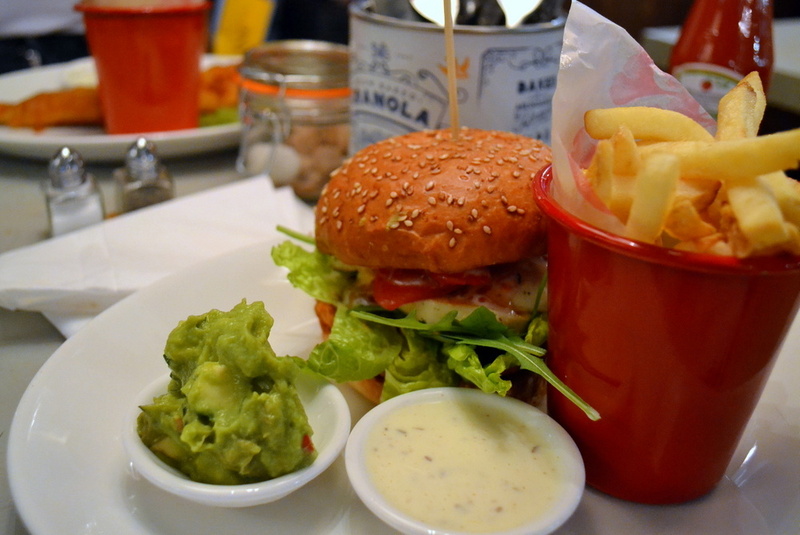 Knowing that Chloe is vegetarian is something that I think about when I take her to somewhere new for food, and although Bill’s doesn’t have the largest selection of meat free dishes, I knew that there were a few meals on the menu that she’d enjoy. 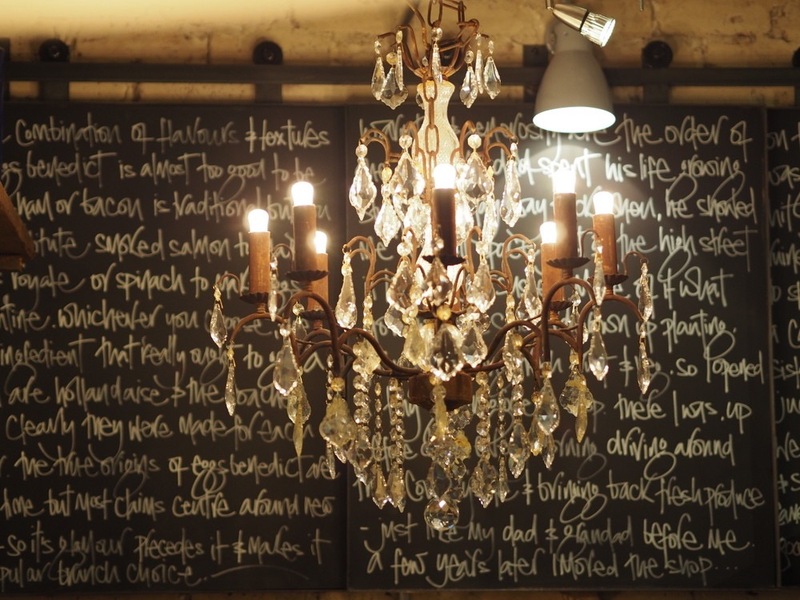 If you’re not familiar with Bill’s Restaurants, a particular aesthetic trademark would be the rustic interior design. 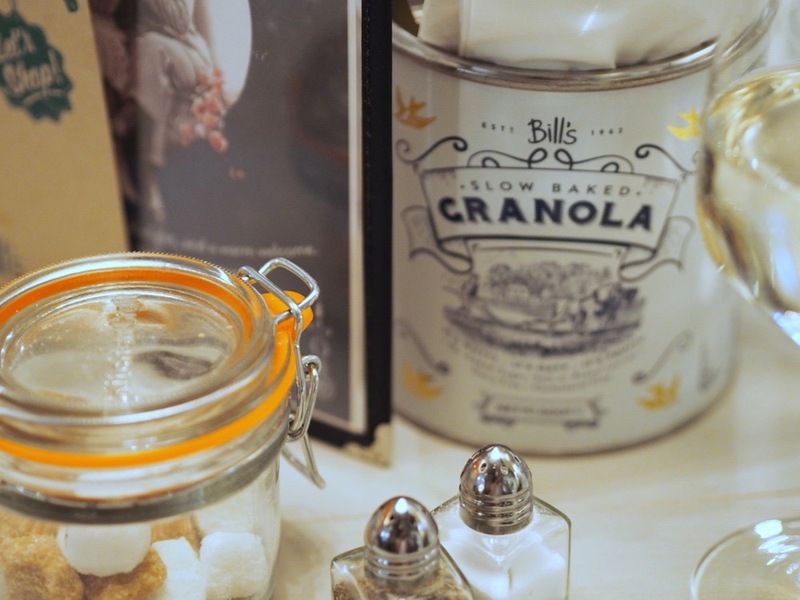 I like how Bill’s has a distinct shabby chic style about it and whilst sticking to its barn-like wood features and up-cycled tins, it has an element of glam with chandeliers here and there and the odd plush chair. 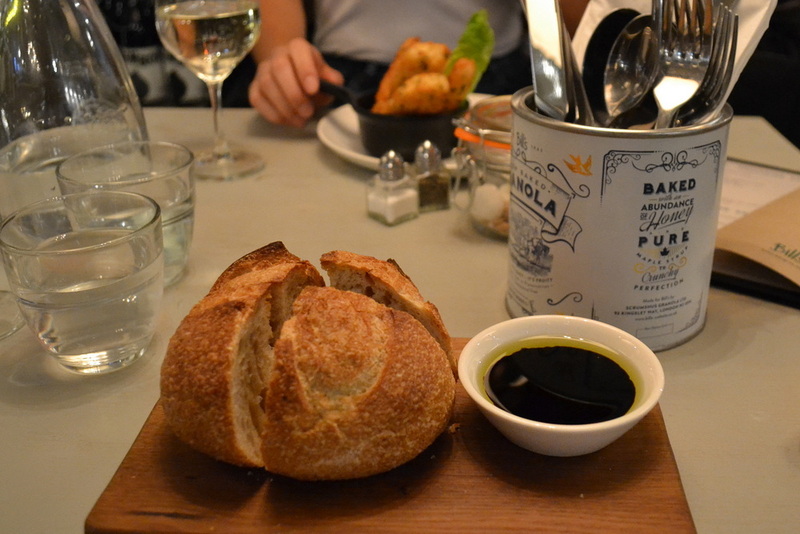 We decided to get a bottle of house white to accompany our meal and to start I went for the crispy crumbed halloumi, which I have to say was delicious and Chloe went for the white and rye sourdough. For the main I went for the beer-battered cod and Chloe went for the halloumi and hummus burger, which looked amazing. 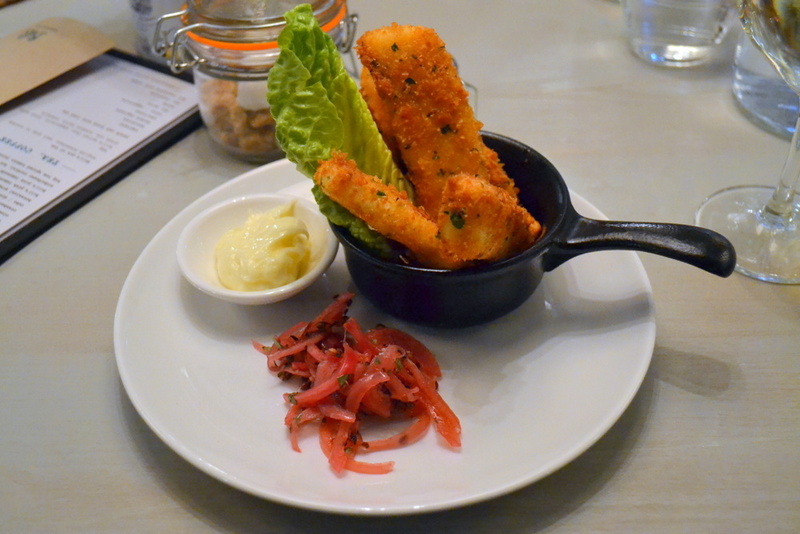 I probably should have opted for a slightly smaller starter, as by time it came to our main meals, I was already starting to feel somewhat full. However the beer-battered cod was cooked perfectly and tasted so good, so I managed to get through the most of it, leaving only a few fries. After cleaning off our mains, Chloe and I were left feeling full and content but with the dessert menu just staring at me (yes it was me, Miss Piggy, eager for dessert), I couldn’t help but not go for the blackberry and caramel Eton Mess. We decided to share the dessert, which was definitely a smart move (I was already contemplating unbuttoning my jeans by this point). However the Eton Mess was certainly worth every mouthful. It was a truly tasty treat to finish a great three course meal. Aside from the food being delicious, the service was also excellent. From being greeted at the front of the restaurant on arrival to leaving at the end, we were provided with great service by a bunch of super friendly staff. It was great to see that even whilst we were in there and the place was moderately full (this was around 2pm), that the service was still of a great standard and our courses each arrived in good time. I’ll definitely be heading back to this Bill’s again soon. 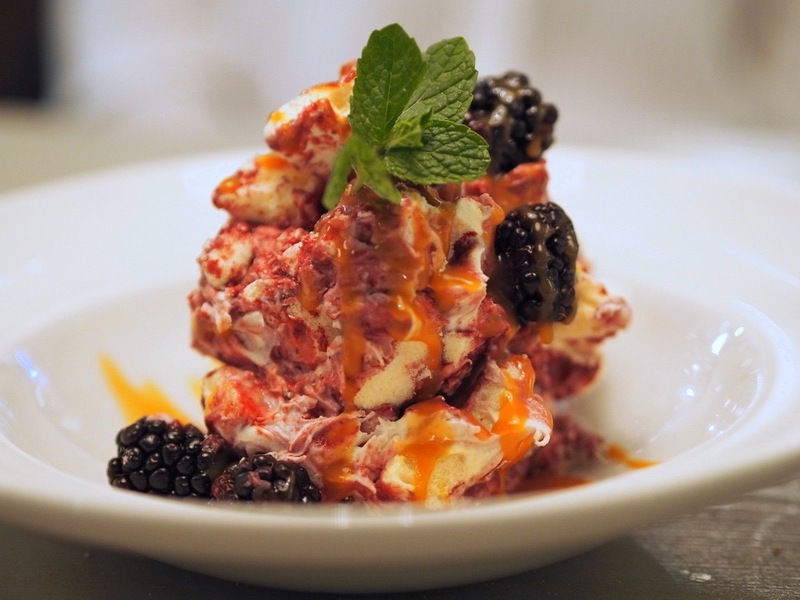 Maybe next time however I’ll just stick to two course, but then again, who can say no to that fabulous dessert…Mmm Eton Mess! Thanks to the guys at Bill’s Trafford for providing us with this complimentary three course meal. I’m just going to live vicariously through you because I absolutely love Bill’s! The last time I was in London we went to Bill’s so many times I can’t even count. 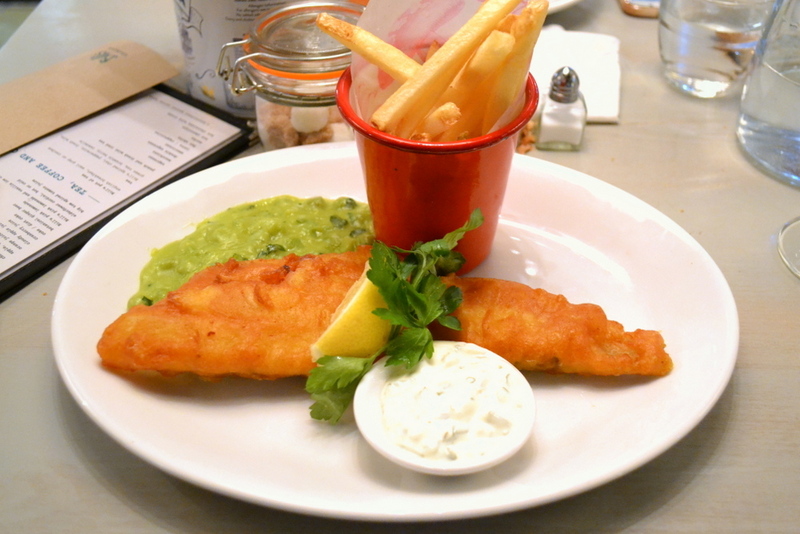 The beer-battered cod was one of my personal favourites, but their pancakes for breakfast were amazing as well. This place looks amazing! And the food tho! Great photos, dear. I would love to go there for brunch!